Water beds for cows have been around for a few years now. Setting up a camera to observe resting cows. When dairy cow water beds first appeared in the late 1990s, it was understood that it’s important for a cow to lie down, but mostly, cow beds were simply regular designed-for-human mattresses or often just sand and straw. The water beds have become a mild success, but do they actually work? Starting in the early 2000s, one design of water bed became dominant for dairy cows: a two-chambered mattress, with the second chamber specifically located to give extra support to a cow’s knees, which are sort of a weak point. Aside from comfort, maximizing the time a cow is lying down is vital for milk production. Studies show that resting time is directly correlated with milk production; the more time spent lying down, the more milk the cow produces. While lying down, cows aren’t sleeping; they’re chewing cud and storing energy. According to studies, blood flow increases by 20 to 30 percent in the udders while the cow is resting, compared with standing. 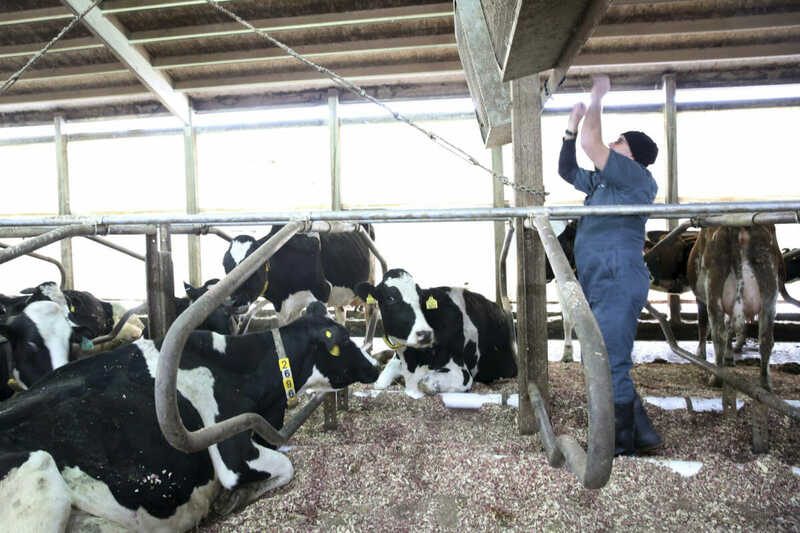 Over at the University of Missouri’s Foremost Dairy Research Center, a team of veterinarians and researchers timed how long it takes a cow to lie down on the dual-chambered water beds versus a more common mattress. Cows like to rest, but the prospect of lowering a sedentary 1,500-pound body to the ground isn’t an easy one, so it can take them a while. What the Missouri team found is that the time taken by a cow to lie down reduced dramatically when the cow was presented with a water bed, instead of a regular mattress—from 8.5 minutes down to less than five. That may not sound like a big deal, but it indicates that these water beds provide substantially more appeal for the cows than other mattresses—and a happy cow is a productive cow.